An unsettled weekend is forecast for Cambridgeshire, Peterborough, Norfolk, Suffolk, Essex and Lincolnshire. 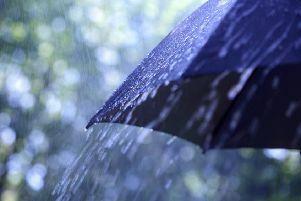 The Met Office have issued a Yellow Warning for heavy run and thunderstorms on Saturday. Issued at 10am today (Friday) and valid from 2pm until 9pm on Saturday, there is the chance of isolated heavy, thunderstorms. As the wind becomes southerly today and tomorrow, a brief surge of heat from the continent will affect central and eastern parts of England. However, heavy rain is likely to become widespread through the weekend, especially in the west and north. Severe thunderstorms may affect some areas, MeteoGroup said. A Spanish Plume is a colloquial description of a weather situation in which a large southwards dip in the high altitude jet stream develops to the west of Europe encouraging a deep southerly wind flow. This pushes hot and humid air from Iberia north and north-east into northern Europe, including the British Isles. The proximity of active weather systems moving along with the jet stream along with heating from the summer sunshine can encourage thunderstorms to develop. The strong winds from the jet stream help to organise the thunderstorms and can aid in their severity.